Good morning! It's sunny and beautiful outside. I even checked the hourly forecast for today and it is supposed to warm up today, so I may get outside for a run! I am kind of excited by this. Sunny skies, fresh air. All of this sounds great, minus the snow. Yes. We have another storm coming today. I've lost track of the storms and snowfall. All I know is it's cold and I cannot wait to run without all of the layers. Although, I haven't really been running with lots of layers lately, because most of my running has been taking place on the treadmill at my gym. Some people call it the dreadmill. Honestly, I used to think it was horrible too. But I've gotten quite used to it. I was just looking over my marathon training. The long runs are getting longer and my weekly mileage is stacking up quite nicely. My longest run was 16 miles a couple of weeks ago with Carrie. I'm incorporating speed/hill work, more yoga, more strength. All good things! With all of this running, I tend to think about the days when I thought I could only run with music. When I run outside on my road, I do not run with music. It's not safe. I want to hear the cars coming and be able to jump off the road if need be - since I don't have much of a shoulder. I also would like to be able to hear if there is someone near me. I usually do not see people walking or running on my road when I'm out there, but I want to be aware of my surroundings. With all of my treadmill running, I have been listening to tons of music, which means I needed to find my earbuds and update my playlist. The good news is that updating my playlist is super easy, especially with my phone. The bad news is that my earbuds are always a tangled mess. It takes me forever to untangle them. A couple of weeks ago, I was sent something called Cordskinz. Check out the video below. They a basically a plastic coating that slips over your earbuds cords that make it harder for those awful cords to get tangled up. It took me less than 5 minutes to get the Cordskinz on my earbuds and trim to length. They are not permanent either. You can easily take the Cordskinz off if you choose to or want to change out the color. Check out all of the color options they have too!!! I'm so happy to be able to try out Cordskinz. 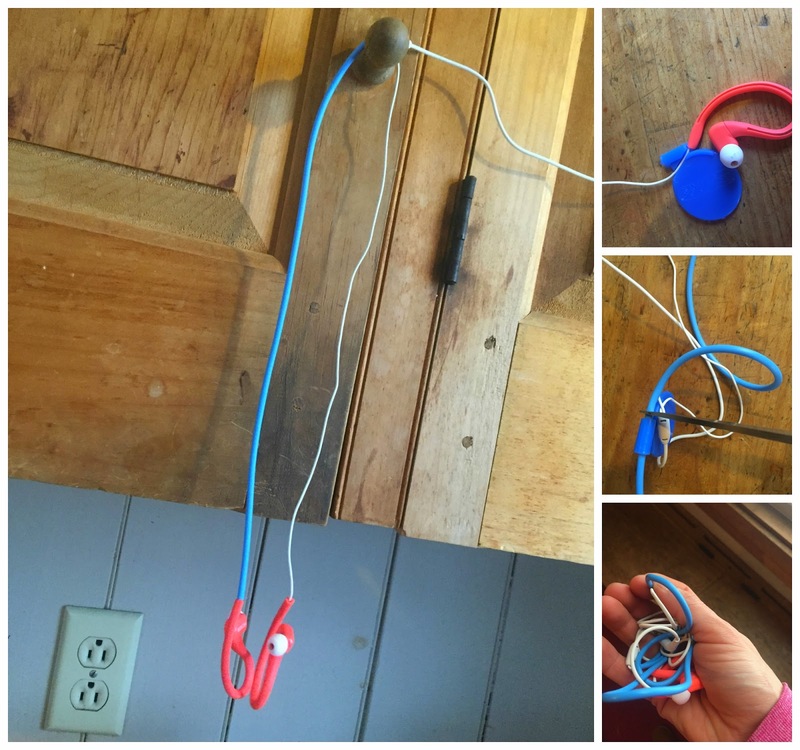 Now I don't have to spend precious running time untangling my earbud cords! I know you hate it too!!! Check out their Facebook page here as well. You will love Cordskinz too!!! disclosure: I was sent a sample for the purposes of a review. I was not required to give a positive review. As always, all opinions expressed on my blog are 100% my own.